Mindful Business Leadership presents a new model of leadership. 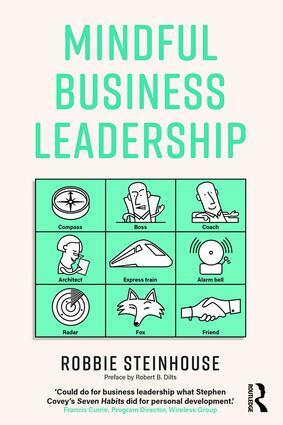 It introduces ten very different leadership roles that are required to meet the challenges of modern business. Memorable metaphors and images are created for each, and they are placed in a matrix. Readers are shown how to develop these roles within themselves. Potentially negative aspects of each are discussed, along with material on how to put these to creative use. The book argues that mindfulness is the best way to balance the roles – a mindful leader will know ‘who to be’ in any situation. The last part is taken up with clear, practical exercises that readers can practice to become more fully mindful and develop a clear vision for their own leadership. Mindful Business Leadership is relevant to anyone, anywhere in the world, who is moving (or wishes to move) to a position of leadership.